Esperance to Le Grande National Park. Just 12 km's from the centre of Esperance the big beach run starts and takes you all the way into Le Grand National Park. This beach run is absolutely awesome as it just continues forever, apart from the pristine turquoise water and Mountains in the distance there are a few large rocky areas mainly at the Esperance end of the beach and don't be surprised if you come across wild horses and Kangaroos sharing the beach with you. 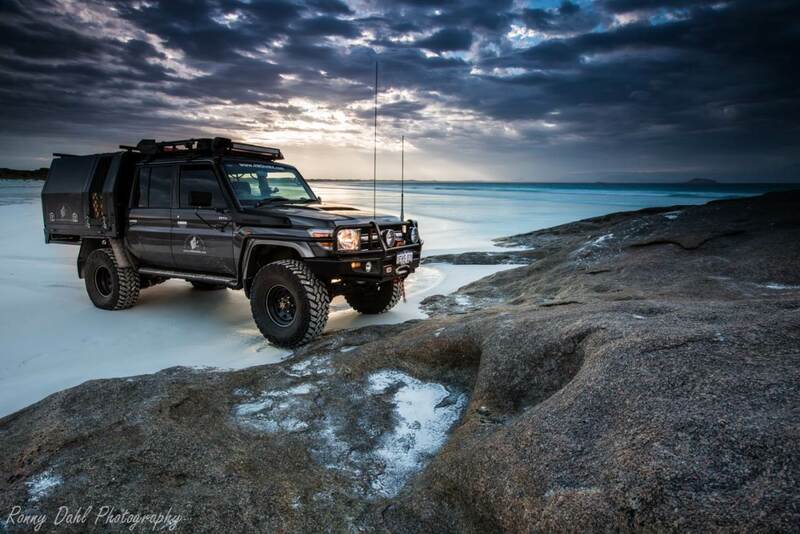 The 4wd beach run is over 20 km's long and average speeds around 60 kph is common, however we stress that you work out which average speeds suits you best. The mountain at the end of the Beach is Mt Le Grande which can be climbed on foot. 79 Series Cruiser on the beach at sunrise at Le Grande National Park. The beach is very wide in some areas over 100 meters wide during low tide. This beach run is great as it acts like a short cut to Le Grand National Park. By the beach its 32 km in total from Esperance CBD and by highway its 68 km, that is a big difference. The beach sand is quite hard so high range gearing is the way to go, however lowering tires and engaging 4wd is still necessary to avoid unexpected bogging’s and track damage. Know the tides before venturing along the beach. If it’s the first time you travel down this beach we recommend taking your time and soaking in the beautiful area around you, this is amazing country! The extra beauty of this beach run is being able to use it getting to and from Le Grande National Park’s Lucky Bay, Rossiter Bay and Dunns Rocks. We drove on this beach about 7-8 times and once at night. 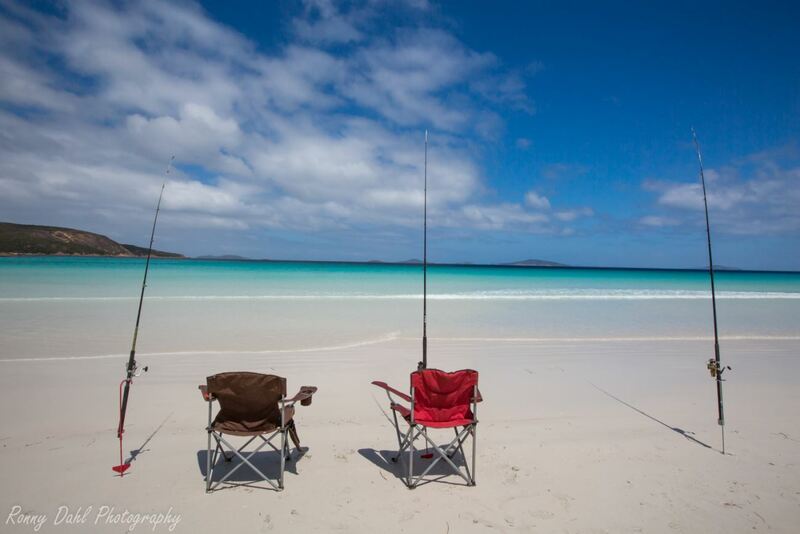 If using the beach at night, take extra care of people fishing as it gets pitch black night! There are plenty of beaches within the Le Grande National Park and not all of them are accessed by 4x4. 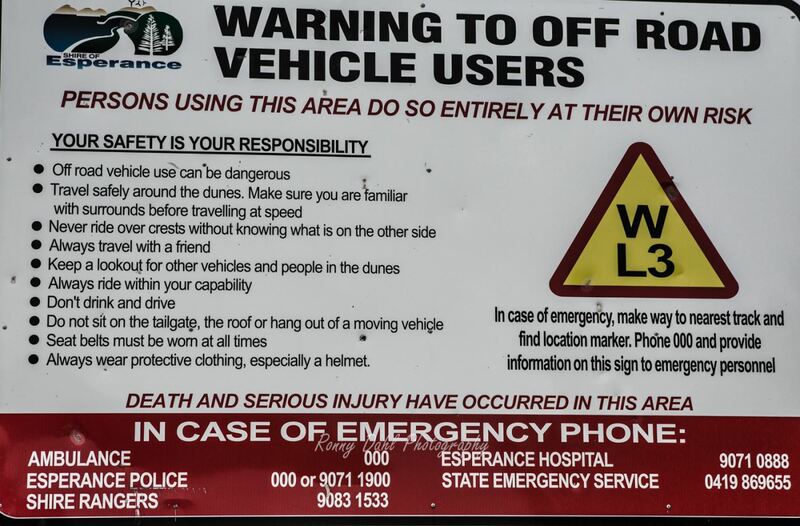 The ones that are accessed by 4 Wheel Drive are: Lucky Bay, Rossiter Bay and Dunn Rocks. If spending the entire day at a beach the 4wd beaches will always the number 1 pick! The other beaches in the area are still worth a look however. Some of the Mountains have walking tracks to the summit, we didn’t venture up any as we had young kids along for the trip but I recon the view and the challenge would be worth it especially the Frenchman’s cap peak. At the entrance to the beach at the Esperance end there is a big rock hill. This rock hill has a sand track leading up to the start of the challenge which has a reward at the top. The reward is a great view of the beach and coastal area from the peak. 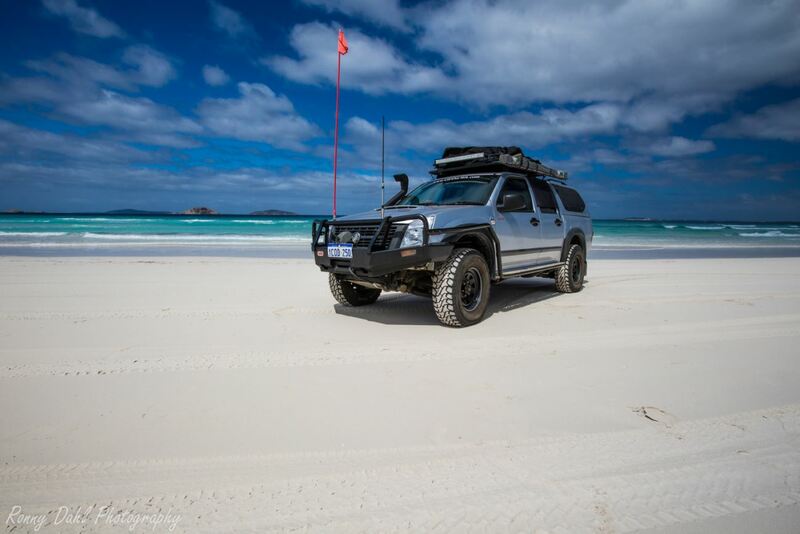 The beach is hard packed sand in most places, the water/ocean can still claim a 4wd however so know the tides! Even with the sand being hard engage 4x4 and lower tires to at least 25psi. Don’t speed along the beach as there are plenty of other track/beach goes walking and driving! Leave Le Grande National Park And Go 4 Wheeling In Western Australia.